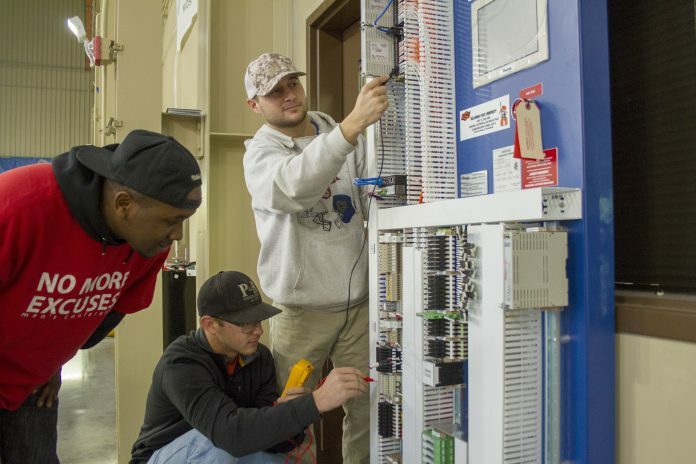 The Oklahoma State University Institute of Technology (OSUIT) Natural Gas Compression Program has received a donation of equipment and software worth US$137,000. Targa Midstream Services and Spartan Controls donated two programmable logic controller panels (PLCs) and the software to operate them. Located in Okmulgee, Oklahoma, USA, the Natural Gas Compression Program at OSUIT offers a curriculum focused around hands-on instruction. The program is supported by natural gas compression producers, suppliers, and trade associations. Natural gas compression training has been a part of OSUIT’s curriculum since 1979, but in 2000 it became an independent program. In 2013 the college christened the Chesapeake Energy Natural Gas Compression Training Center – a 23,920-sq.ft. facility allowing students to learn to diagnose, service, and maintain gas compression equipment.